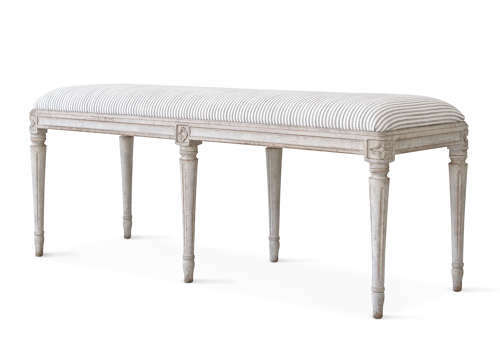 Our beautiful 'Luna' bespoke Gustavian bench featuring decorative hand carved rose motifs and round tapered & fluted legs. Available in a range of authentic Swedish hand painted antique patinas. Upholster in a fabric of your choice.